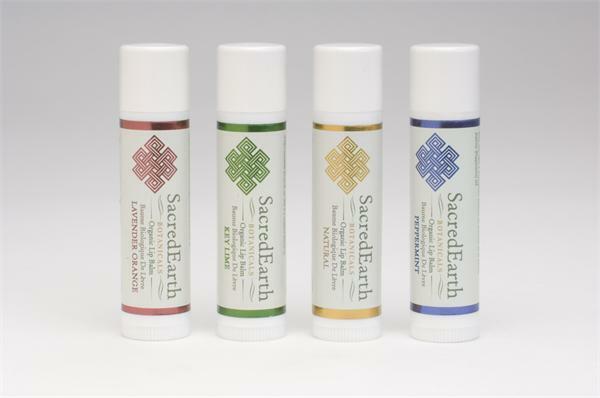 SacredEarth Botanicals’ lip balms have been handcrafted in small batches using only the finest USDA Certified Organic oils, beeswax and essential oils available. All of our lip balms contain Vitamin E and rosemary extract for a foundation of true lip therapy. The unsaturated nature of our base oils act as free radical scavengers while the vitamin E and rosemary extract quench the free radicals, leaving lips soft, supple and nourished. Together they are nature’s answer to healthy lips.